Part of the keep of the early 12th century original castle stands on a motte on a hill surrounded by a bailey. 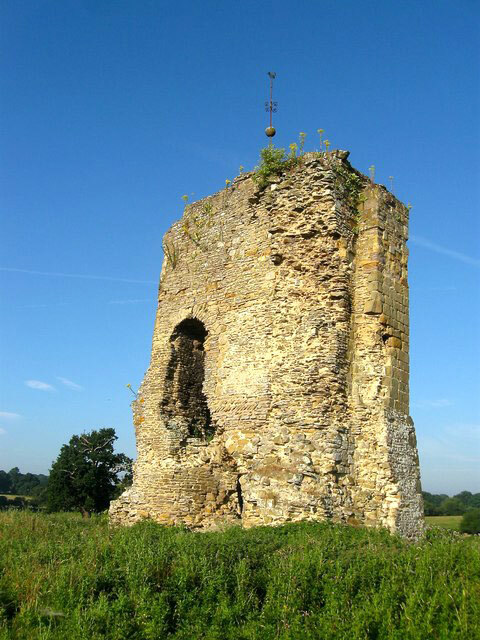 It was used mainly as a hunting lodge before falling into ruin in the 14th century. It was largely demolished in 1726 and material used to make part of the A24. In 1809 the present castle was built nearby. Private, but can be seen from the A24.